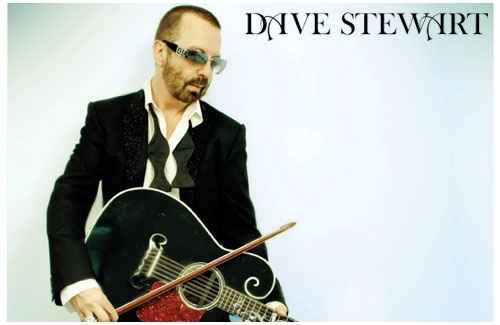 Surfdog’s management arm, Dave Kaplan Management, is thrilled to announce its newest signing, Golden Globe and 4-time Grammy Award winner, DAVE STEWART. As an artist, producer, songwriter, author, entrepreneur, environmentalist, and visionary, Dave has enjoyed years of incredible groundbreaking success with the likes of Eurythmics, Tom Petty, Bono, Bob Dylan, No Doubt, Mick Jagger, and, most recently, as Nokia’s Innovation Advisor and Chief Disruption Office (actual official title!). There are many great things in the pipeline from Dave in coming months and year, and we look forward to sharing his brilliance with the World! Wylde Bunch might be a part of your homework soon. They’ve joined up with BlueNose Edutainment to be part of High School (Grades 9-12) English courses. The program focuses on pairing up a songwriting skill with bands such as Plain White T’s, HelloGoodbye, Wylde Bunch and more. The skill associated with Wylde Bunch is ""Finding Your Voice", and students will study the song "Yeah Yeah (Stomp The Bleachers)" as an example. Objectives for the course include classifying, evaluating, and writing lyrics while developing personal and unique writing strategies. BlueNose Ed hopes to motivate students to read and write through the use of positive entertainment, and Wylde Bunch’s story and music couldn’t be a better match for the course. 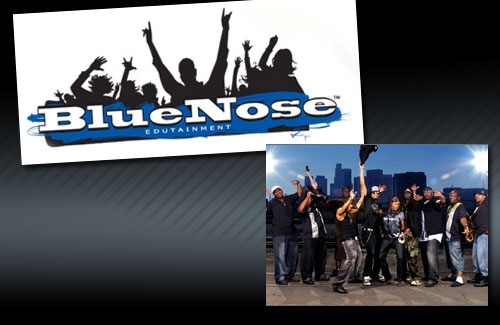 To learn more about BlueNose Edutainment please visit their website. 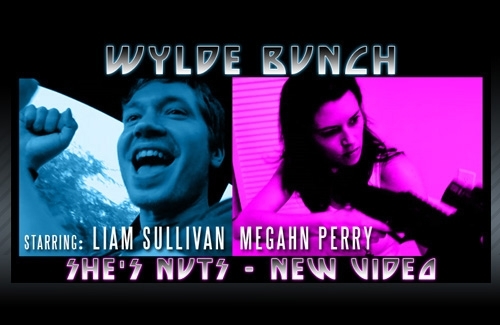 Wylde Bunch has teamed up with Liam Sullivan (Kelly from "Shoes") for 5 minutes of pure comic genius. Over 35,000 views in one day! This video is spreading like wildfire online with an overwhelmingly positive response! Wylde Bunch would like to thank everyone involved with the vid, and all you fans out there for making this thing explode! View "She’s Nuts" at YouTube and leave your comments by clicking here. Click here to buy "SHE’S NUTS" at iTunes. Radio Margaritaville will be running a half hour feature on Dan Hicks and his new album Tangled Tales, with four chances to catch the show! The feature will air on XM Radio channel 55 and Sirius Radio channel 31. If you don’t subscribe to satellite radio, you can stream it for FREE at www.radiomargaritaville.com. 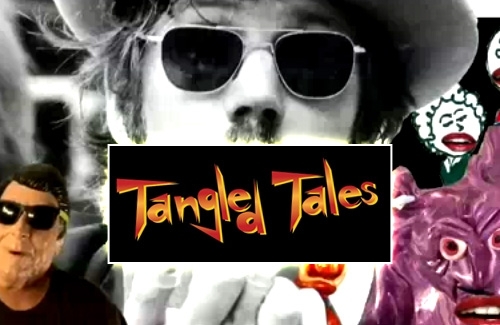 Be sure to tune in to hear music from the new Dan Hicks & The Hot Licks release Tangled Tales. 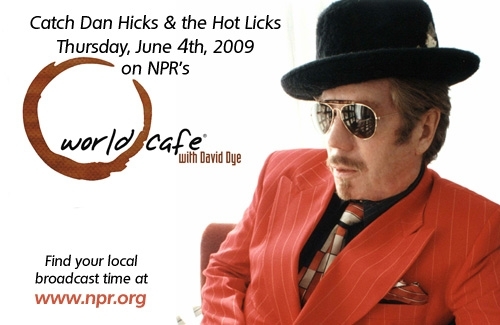 Dan Hicks and the Hot Licks will be appearing on NPR’s World Cafe Thursday, June 4th. Head over to NPR.org to find out when you can catch the broadcast in your area!